An ultrasound scan is a very important tool to help us diagnose diseases in animals, particularly for conditions involving soft tissues, such as those found in the abdomen, or the heart. Breeding your dog? A Pregnancy ultrasound will be able to confirm if your dog is pregnant. 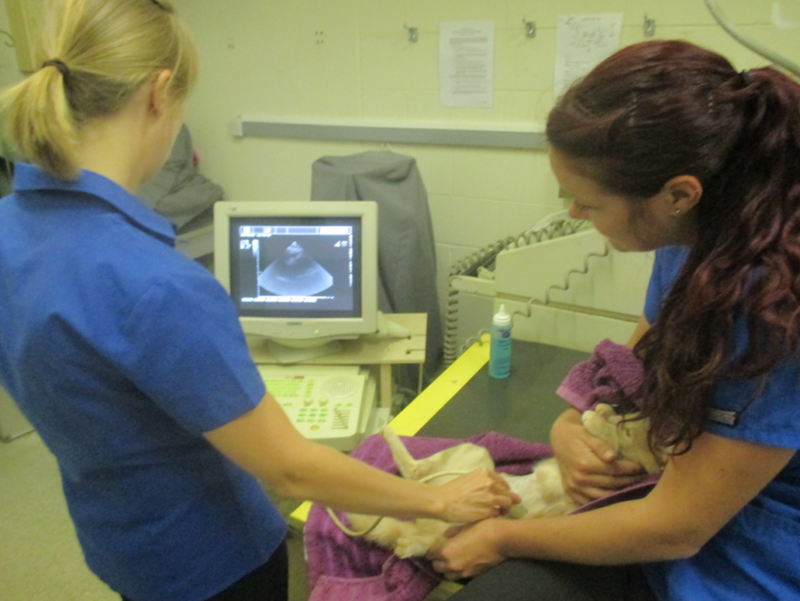 Our hospital is fully equipped with an ultrasound scanner to assist evaluation of your pet’s condition if required. Our veterinarians will discuss your pet’s case and conduct a thorough physical examination to determine if your pet requires an ultrasound examination. Ultrasonography is a painless procedure that uses high frequency sound waves (inaudible to humans) to produce images of structures within the body. When sound waves are directed into the body, some are absorbed by body tissues and others bounce back. The sound waves that bounce back are measured by the ultrasound machine and are transformed into an image on a screen. The images can be printed or recorded. Extensive training is required in order to correctly use this equipment and interpret these images.